This is the portfolio website of Amanda "Aerandir" Stier. It showcases my work in print, web, and motion graphic design. If you have any questions or comments, or you would like to commission me for a project, please visit the contact page or email me. 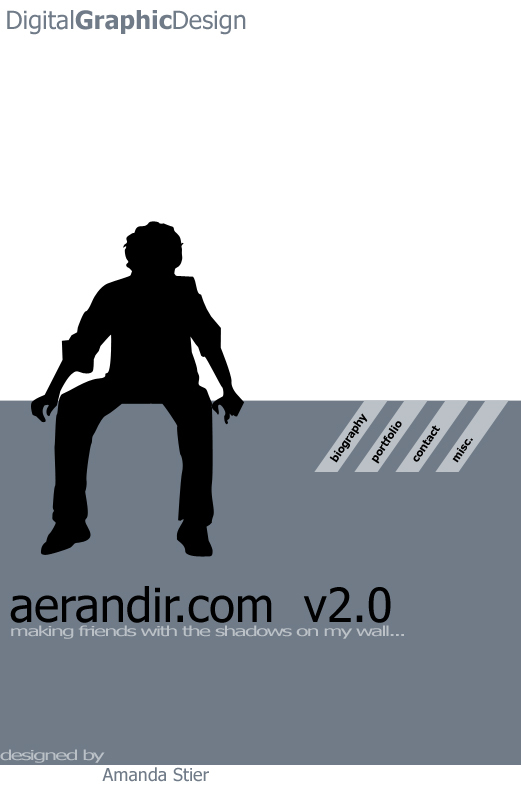 Check out my interactive portfolio for samples of my work or email aerandir@aerandir.com if you're interested.